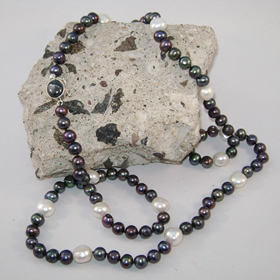 This necklace is made with white 8mm nugget freshwater pearls. They are hand knotted with silk thread and are finished with a sterling silver 8x10mm rose quartz cabachon safety clasp. 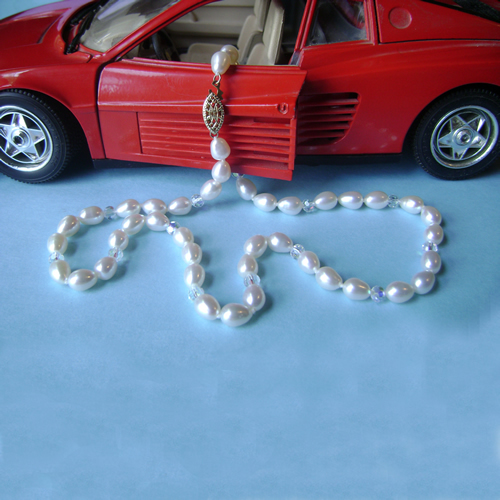 Beautiful everyday pearl necklace. 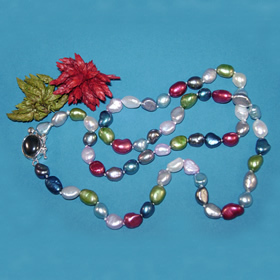 This hand knotted multi color freshwater pearl necklace is made with baroque rice pearls. 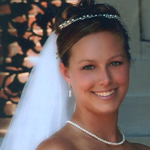 The pearls are 7mm in size and have a wonderful luster. The sterling silver clasp is a hematite cabachon design with a safety clasp for extra security. This necklace is a fun and colorful look that will brighten up your day. For your special size please call me for pricing. 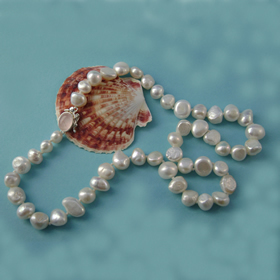 This beautiful freshwater pearl necklace is designed with 7mm peacock color potato pearls with every 6th pearl a 7mm white potato pearl giving this necklace a classic look. Hand knotted with a beautiful sterling silver hematite cabachon clasp this necklace is a must for everyone. 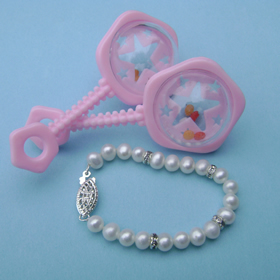 The safety catch on the clasp gives extra security. This necklace can be custom designed to your desired length. 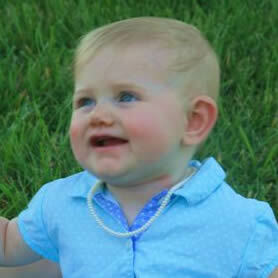 This beautiful freshwater 6mm pearl necklace includes 3 colors of potato shape pearls. The pastel colors are in cream, pink and green and are hand knotted on silk thread. The finishing touch to this necklace is a beautiful 8x10mm sterling silver rose quartz cabachon clasp with safety catch which compliments the pearls. 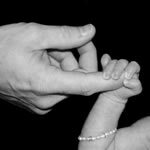 You will wear this necklace time and time again. For your personal length please call us for pricing.